Mass market take-up of voice as a preferred method of engagement was the general consensus across agencies and brand marketers speaking to CMO following news that Amazon will bring a localised version of its Alexa voice interaction platform and start shipping Echo and Dot speakers to Australia from February. Westpac was one of a number of local brands to announce dedicated skills for Alexa this week. Westpac general manager, Consumer Digital, Travis Tyler, saw voice-based interactions as a revolutionary way for people to interact with their service providers. Using the new Westpac skill, consumers can ask a range of questions about their account balances as well as their last 50 transactions. Once familiar with voice as an interaction vehicle, Tyler expected customers to make regular use of banking services via Alexa because it is easy to use and fits in with their everyday lives. “Our Westpac Flash Briefing Skill will also give users of Alexa a great head start on the morning’s finance news and we’re hopeful many will use this information to start their day,” he said. Versa is a specialist agency that worked with Village Entertainment to create its first skill for Amazon Alexa. Managing director, Kath Blackham, couldn’t emphasis the significance of the launch enough. Initially, skills are expected to focus on entertainment and utility, and linking voice command to connected devices such as smart lights. “Anything that makes a consumer’s life easier, such as ordering a pizza while sitting on the couch, or finding out what's on at the movies, are sure to be most popular with the wider base of users,” Blackham said. Product designer at digital product studio Ustwo, Scott Burns, said the team was already noticing skills are “growing up a bit”. “We’re moving on from asking Alexa a cheeky joke to it becoming a useful tool in our daily lives,” he said. Over time, when people get used to using skills and the technology becomes smarter, voice-based devices will be able to have more complicated interactions with consumers, Dius head of technology, Ricky Yim, agreed. Dius worked with mobile virtual network operator, amaysim, to build its first Alexa skill, which also debuted this week. 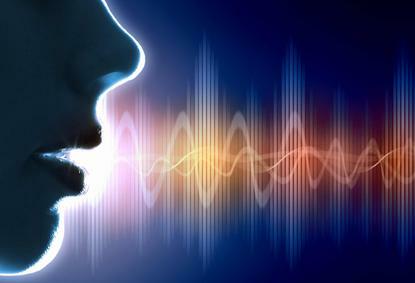 Before even jumping on the voice bandwagon, however, Burns cautioned marketers to think about how their brands need to be positioned in a voice-driven environment. “Brands need to ask themselves: If our brand is just a voice in the room, what should it sound like and what value can we provide to our customers?” he said. Meanwhile, the biggest pitfall for brands when thinking about developing a skill or voice interaction is not putting the needs of their customers first. “Consumers have a very short threshold for useless things and that threshold only gets smaller when it comes to voice interaction. So make it useful to people,” Burns advised. “Secondly, this new technology will evolve as more and more people adopt it, so the challenge is, how do we adapt to change? Brands need to approach the design and development of a skill as one that is constantly evolving over time. “Create the right environment for this evolution to thrive, by partnering with people who understand the nature of product development in the context of user thinking." Tyler said the Westpac Digital Labs team worked “incredibly hard” to ensure the services provided on Alexa are safe for consumers to use. As a new device, organisations need to be careful not to overcomplicate things upfront, Yim added. “You don’t want to turn people off the technology. If people try and use a skill and it doesn’t work, there are only so many times they will try again,” he said. It’s also important to measure a skill’s success rate from release and to do this, Yim recommended putting analytics in place. “How many people actually successfully used the skill? How many people didn’t get execute the skill successfully? Then use that information to improve the skill,” he said. When Versa first started building Alexa skills a year ago, the team underestimated how difficult it would be, Blackham admitted. “Building out a simple skill is very different to building an enterprise-level skill and we are very grateful for all the help that we have had from Amazon over the past months in helping us understand the process we need to go through to get skills through certification,” she said. “We have been incredibly impressed by how strict Amazon is with making sure skills are flawless from start to finish. With voice, there is no room for mistakes, particularly with the voice experience, so the user has be front and centre in a way we rarely see in Web or app design.